About the Arapaho and Eastern Shoshone: The Eastern Shoshone migrated onto the Plains from Nevada in the 1600s. The Northern Arapaho migrated out of Minnesota onto the Plains at the same time. The government confiscated land from the Arapaho for gold mining and forced the two traditional enemies onto one reservation. History of the Reservation: In 1878, the Northern Arapaho joined the Eastern Shoshone in the Wind River Valley. The enemy tribes agreed to this arrangement because the government assured them the Arapaho would be moved soon. Fifty years later, the Shoshone and Arapaho made their peace and the government compensated the Shoshone for the loss of land. 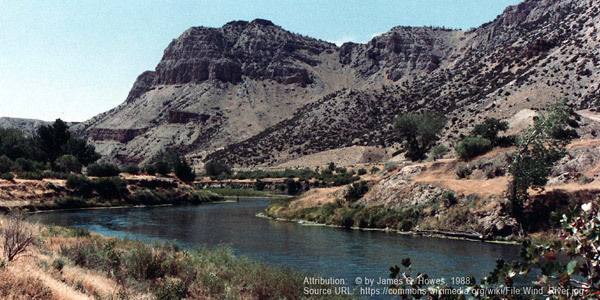 The Shoshone and Arapaho currently share the Wind River Reservation, one of the largest in the U.S., with more than 2.2 million acres in Wyoming’s Wind River Valley. 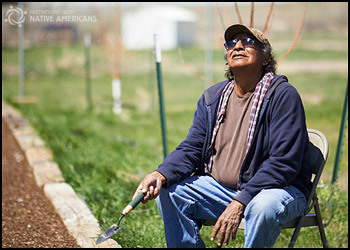 Life on the Reservation: Eastern Shoshone culture on the Reservation is centered around the town of Fort Washakie. This Fort was the only military outpost established to protect, rather than fight, the Indians. The post operated until 1909 and many of the original buildings are still intact. Ranching is the economic mainstay of the Wind River Reservation, where the Arapaho raise cattle. The Shoshone own a construction company and the tribes jointly own a bingo operation. Tourism also provides a small number of jobs for tribal members. Despite the existence of these businesses, unemployment and poverty are both high on the reservation, with more than one in five Wind River residents living in poverty.